Tamar opened a "blogsite" - Kosher With Food Allergies - for information and resources for Jews dealing with food allergies. Maybe you have allergies and need tips for traveling outside your comfort zone, or you have guests coming this summer with food allergies, this is an incredible compilation/portal of resources. Yocheved Golani is looking for a publisher for her new book The Comfort Foods Cookbook: Recipes to Calm You Down FAST Without Widening Your Waistline. I've posted an excerpt from her book about whole grains and spreads. Batya of me-ander is traveling to the states this summer and wants to know, So Which Starbucks is Kosher? 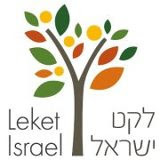 Israel has been threatened with rolling blackouts. Hannah K. of Cooking Manager wrote about Preparing Your Refrigerator for a Power Outage. David Lebovitz (Living the Sweet Life in Paris) takes a culinary tour of Jerusalem. At Isreview, Daniela reviewed PriGat’s "Retro" Blood Orange Juice and Bagel Bagel's Aleph-Bet Shaped Pretzels. 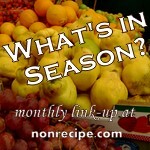 My friend Hannah Z. has revived her blog Keen on Quinoa and wrote A Lesson in Hilchot Kashrut. Hannah posted several other blueberry themed posts including How to Can Blueberries, plus lots of cookie recipes. I've been feeling extra Israeli in the kitchen lately. I recently posted Keys to Great Eggplant (you HAVE to try my eggplant and tehina) and I made sweet and easy Shakshuka. Mrs. S. wrote The requisite fast day food post, including a recipe for zucchini soup, at Our Shiputzim: A Work In Progress. A great idea idea for summer - Ester, of Frugal and Kosher, made Roasted Vegetable Gazpacho with a mixture of raw and cooked veggies. What a nice idea to get the fullest range of flavor and health benefits. Ester also made a vegan Raisin-Bran Cake. My mouth is watering! Egglant with tahini (Hatzil v'tehina in Hebrew) is my Israeli claim to fame. My hummus might taste too Ashkenazi, I don't like to make shnitzel (fried, breaded, flattened chicken breast), and I've only recently started making shakshuka. But I would be proud to serve my eggplant to any native Israeli. I have posted about this before (Eggplant & Tehina), and I've made some very good and very bad eggplant since then. I've gotten cocky, skipped steps, and learned the hard way that there are a few rules you shouldn't forget. 1. Salt the eggplant for at least 20 minutes. Unless you are dealing with the youngest of the skinny, light purple Japanese Eggplants, you should slice the eggplant and salt it very generously before any additional prep. This draws out moisture and bitter flavors and tenderizes the eggplant. Use the flaky kosher salt, or any salt that will stick. The eggplant will sweat. I often do this in the morning and leave it out for a couple hours while I prepare other things. Then rinse it and blot try with paper towels or a tea towel. 2. Do not save the juices. The liquid that comes out of the eggplant while it cooks contains unpleasant flavors. It is best to cook the eggplant in a way that lets most of these flavors drip away. If you have a grill, use it. If not, you may use a grill pan or broiler pan. Lately, I have been making my own disposable grill pan by folding or twisting strips of aluminum foil and laying them out parallel on a larger pan to hold the eggplant off the pan and out of it's juices. I have made excellent eggplant without this step, but I find this is like broiler insurance. If you cook it in a flat pan it is good to put the cooked eggplant in a place where some of the liquid can drip off before you season and serve it. This is a guest post from Yocheved Golani, auther of It's MY Crisis! 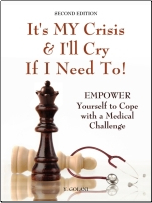 And I'll Cry If I Need To: EMPOWER Yourself to Cope with a Medical Challenge . Yocheved is writing a new book, The Comfort Foods Cookbook: Recipes to Calm You Down FAST Without Widening Your Waistline. The idea intrigued me, so I asked Yocheved if I could share an excerpt with you. Below is an excerpt from the book about whole grains and sandwich spreads. These foods are comforting in the mouth and on a chemical level, but won't expand your waistline and made you feel like lethargic like traditional comfort foods. Use fresh produce and grains. The evidence is in that commercially prepared products hold harmful synthetic chemicals. Fake foods are wreaking havoc with thyroids, metabolism (your body’s ability to burn calories), fertility rates, lifespans and lifestyles. Keep life simple. Don’t sicken yourself on additives, preservatives, food colorings and flavor enhancers. They make the scale stick its tongue out at you, too. Want some bread? Great! Make yours whole grain. Those complex carbohydrates leave you feeling fuller. They also balance your body’s chemicals, including sugar levels. Bye-bye hunger pangs! Smear avocado on the bread. Packed with potassium, hormone-balancing avocado (yes, ladies) is especially good for a woman’s cervical and womb health. Men, avocados are guy-friendly, too. Avos, as South Africans call the fruit, hold compounds that can prevent oral cancer. Their oleic acid is a protection against breast cancer (YES, men do develop breast cancer!). 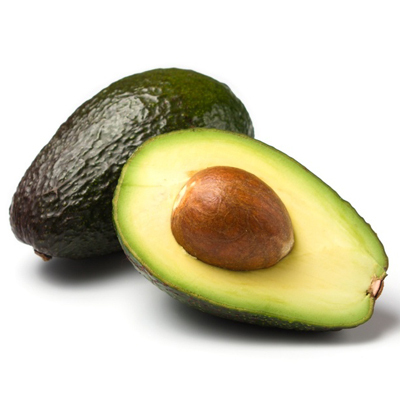 One avocado week can help almost anybody to shed excess weight and possibly prevent some cancers. The fruit is rich in lutein to support everyone’s eye health, too. Top that snack with sliced tomatoes, loaded with lycophen for healthier hearts and blood systems! Tomatoes even hold four chambers, just like human hearts. Lycophen compounds are linked to lower rates of breast and prostate cancer. Pears have the same properties as avocados, so enjoy them often. Ladies, pamper your PMS-y selves with avocado salads, guacamole and even plain old avocado scooped from the peel. Their natural fats are soothing.